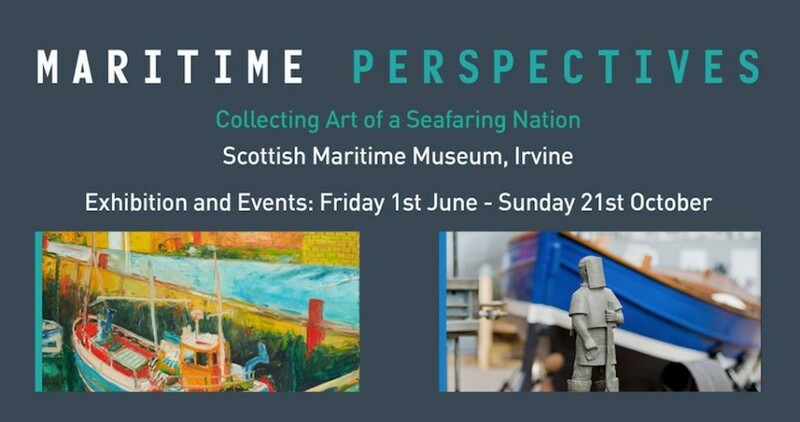 This is the first full showing for the Scottish Maritime Museum’s new art collection. Be amongst the first to see over 80 artworks by artists such as FCB Cadell, Ian Hamilton Finlay, Muirhead Bone, Kate Downie and John Bellany. Ranging from oil painting, watercolour, sketch and photography through to sculpture and mixed media, together the artworks capture life along Scotland’s coastline in all its grit and glory. Striking scenes from the heavy industries of oil and shipbuilding sit side by side with tranquil scenes of fishing boats and travel posters promoting days out ‘doon the water’. Haunting memorials to lives lost on dangerous seas in both war and peacetime juxtapose with island seascapes. As part of Art Fund’s support of the 250th anniversary of The Royal Academy, the exhibition also features a display of recently acquired works by William Lionel Wyllie RA including ‘The Grand Fleet in the Firth of Forth’ after the Armistice. The new art collection has been made possible by the Heritage Lottery Fund’s Collecting Cultures programme and support from Art Fund and the National Fund for Acquisitions. Entrance to the exhibition is included in Museum admission.